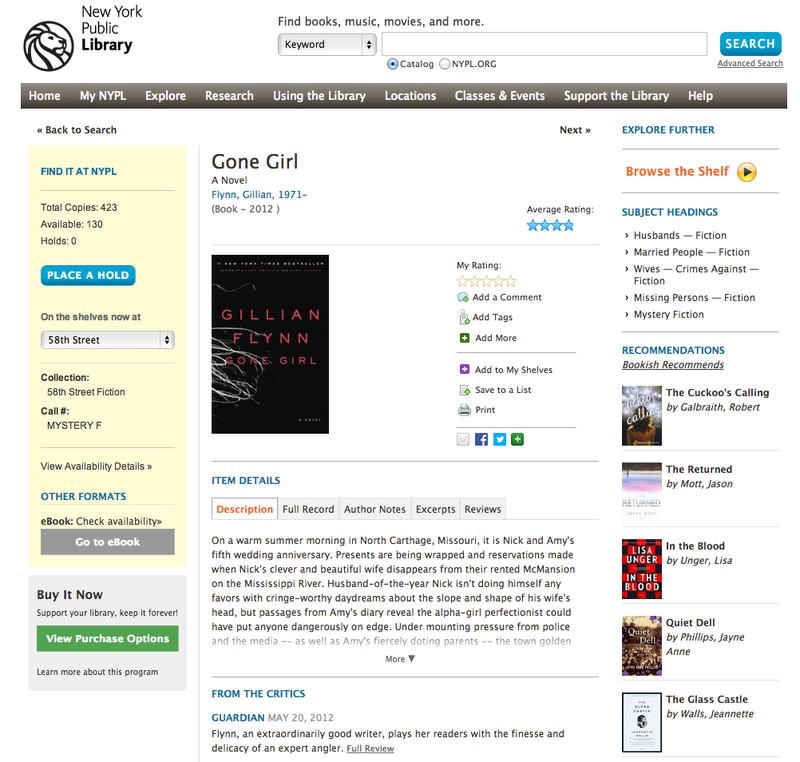 Visitors to the New York Public Library’s website will have a new way to decide what to read next: The library is partnering with New York-based startup Zola Books to offer algorithm-based recommendations to readers. The technology comes from Bookish, the book discovery site that Zola acquired earlier this year. Bookish was originally a joint venture from three big-five publishers — Hachette, Simon & Schuster and Penguin — and aimed to promote book discovery and help publishers directly engage with readers. Announced in 2011, it didn’t launch until 2013 and went through three CEOs on the way. Once it was up and running, Bookish failed to gain traction (maybe because discoverability is more of a problem for publishers than for readers) and Zola, which aims to be a social digital bookstore, acquired it for an undisclosed sum in January. There are long wait times for many new books at the New York Public Library, so a recommendation service like this could be useful to patrons who aren’t able to get the exact book they want right away.